Run out of gift ideas? 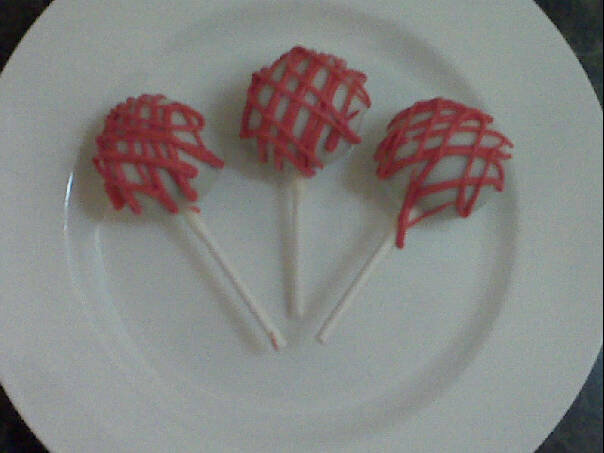 Try some Cake Pops wrapped up for that special someone! Everyone loves to get sweet treats for gifts. 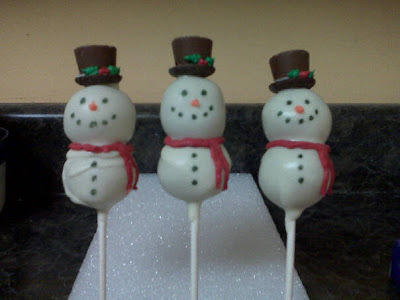 Choose your favorite Cake Ball flavor and turn it into a Cake Pop. Choose your design and it will be wrapped up just for you! Its the most wonderful time of the year!!! 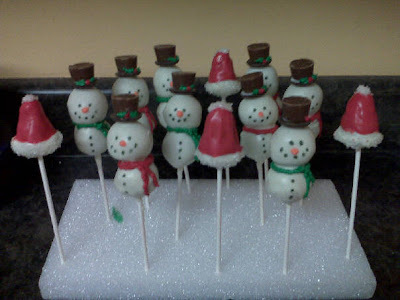 Try some Cake Pops for your next party! 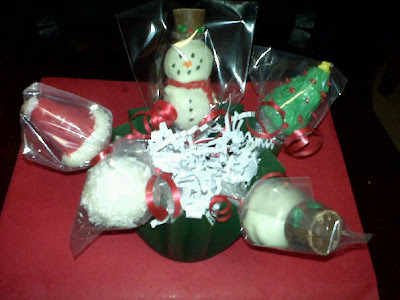 They are individually wrapped for a perfect gift for all of you guests! WOW! The holiday season is among us! Thanksgiving was busy this year. I spent my first four days of Thanksgiving break baking away. 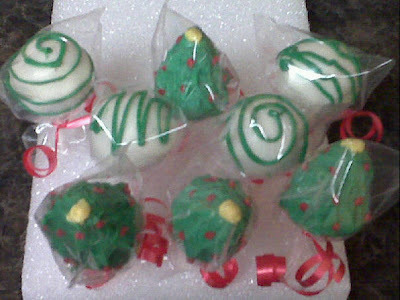 I had a total of 13 Cake Ball orders for the Thanksgiving holiday. I was incredibly happy and surprised for the big turnout. Everything went smoothly and was a huge success! I am looking forward to all of the Christmas orders to come! Strawberry, Chocolate, Vanilla, Classic Yellow Cake, Peanut Butter, Carrot Cake, Red Velvet and much more!!! Contact me at firehousesweets@gmail.com for purchasing information. YUMMY!!! Blondies with white chocolate chips! Absolutely delicious for those that don't like milk chocolate! Everyone loves a party! These cake balls were made from Party Rainbow Chip cake. 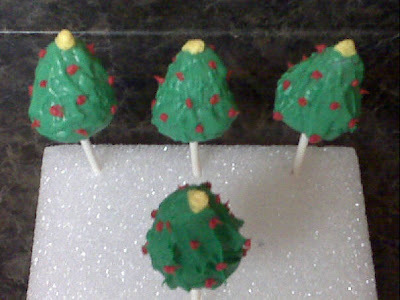 They were mixed with vanilla icing and dipped in white chocolate. Green and blue white chocolate was drizzled over the cake balls to add some fun! These were my first take on Halloween. They were made originally for a bake sale at work, but didn't last very long. They consist of Moist Butter Cake mixed with vanilla icing, dipped in milk chocolate and decorated with Halloween sprinkles. Cake balls have been the new "choice of dessert" around my job! I got the recipe from a co-worker and gave them a trial run. They turned out so delicious that I began mixing up different cake batters and icing flavors to see what I could create. The best part is decorating them. I think that is what makes them different. I am experimenting with all different colors, designs, flavors, and anything else I can think of!